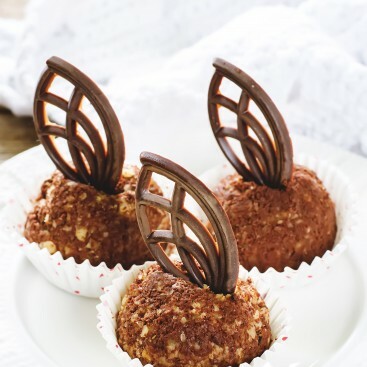 Edible wedding favours are a cost-effective and perfect way to leave your guests with a little something to take home or savour on them in between the courses. 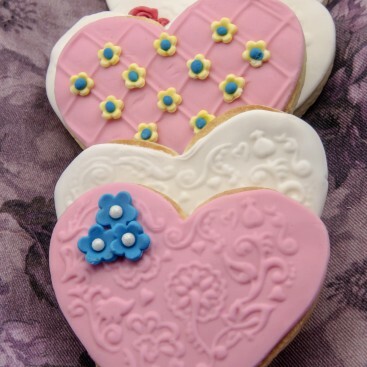 Wedding cookies can be prepared to match your theme, colours and decorations etc. All cookies are presented individually wrapped in clear bags, tied with a satin ribbon. 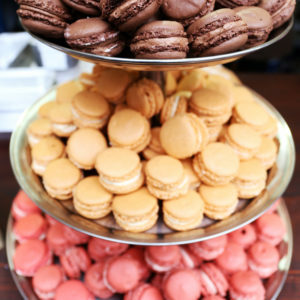 Macaroons as wedding favours have become hugely popular over the recent years. Macaroons can be either presented in clear or organza bags or individual boxes, each of these tied with a satin ribbon. 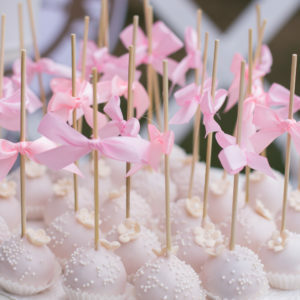 Our cake pops can be made in any cake flavour we offer. All our wedding favours can be personalised without costing too much. Just let us know your exact requirements and we will be happy to assist you. Please click on each item for more information and price details. 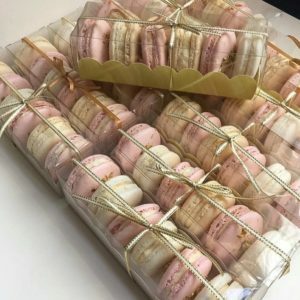 Macarons presented in a variety of packaging depending on the number required in each box. Price from £1.10 – Please ask for more details on packaging. Available fillings flavours: Vanilla, chocolate, raspberry, buttercream, almond, coconut, lemon, orange, pistachio, salted caramel – A minimum of 6 in each flavour applies. Wedding cake pops with ribbons, presented individually wrapped in cellophane bags and tied with a ribbon. 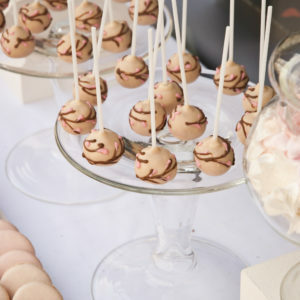 Our cake pops can be prepared in any of the flavours we offer our cakes/cupcakes in. Wedding cake pops with hand piped chocolate detail ribbons, presented individually wrapped in cellophane bags and tied with a ribbon. 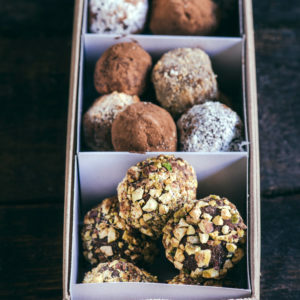 Lose bulk luxury hand rolled chocolate truffles. Luxury hand rolled chocolate truffles presented in a white case wrapped in a cellophane bag, tied with a ribbon. 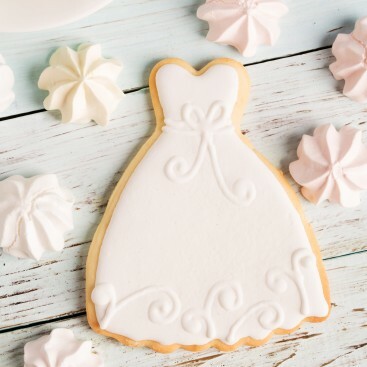 Wedding cookie in the shape of bridal dress. Comes wrapped in a clear cellophane bag, tied with a ribbon. Organza pouches are available. Please ask for prices. Other designs are available. Available flavours: Vanilla, almond, coconut, lemon, ginger, orange or chocolate. Wedding cookie in the shape of love heart. Comes wrapped in a clear cellophane bag, tied with a ribbon. Organza pouches are available. Please ask for prices. Other designs are available. 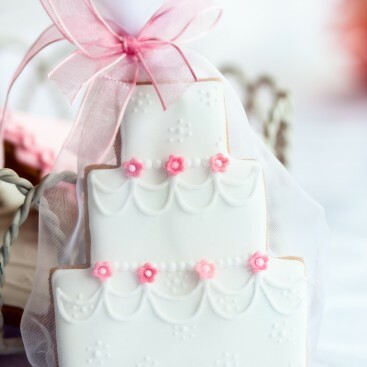 Wedding cookie in cake shape. Comes wrapped in a clear cellophane bag, tied with a ribbon. Organza pouches are available. Please ask for prices. 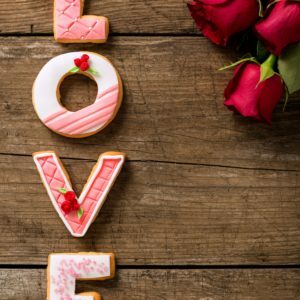 Wedding LOVE cookies. These cookies come as either a packet of all four letters or individually wrapped in a clear cellophane bag, tied with a ribbon. Organza pouches are available. Please ask for prices. Other designs are available. 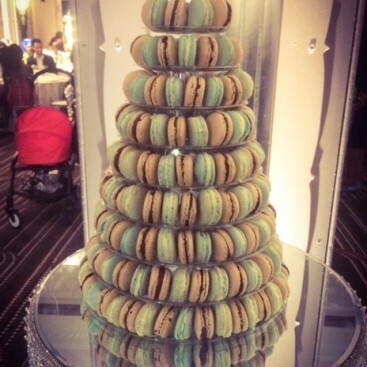 Wedding macron tower with around 236 macarons. Please be advised, there will be a refundable deposit of £40 for the macaron stand. Wedding Cake with hand made sugar roses and lilies. Colour, sizes and flavours are fully customisable. Please click here for more information on delivery and set-up charges. 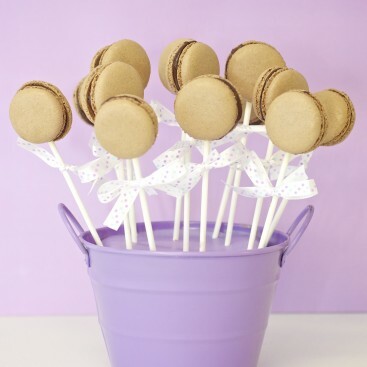 Macaron lollies presented with a bow, individually wrapped in cellophane bags and tied with a ribbon. 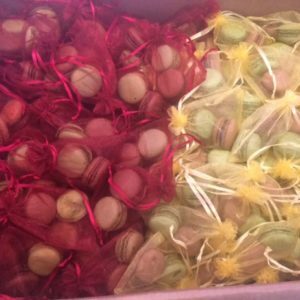 Lose freshly prepared macarons without packaging.